Workers’ compensation, also called workers’ comp, workmans comp and work comp, is the system put in place to compensate employees for injuries or illnesses they sustain at work that require medical care or missed work. Workers’ compensation insurance, which is often used interchangeably, is the insurance policy most employers must purchase annually to provide this kind of coverage. Workers’ compensation protects both employee and employer. Employers are responsible for maintaining a safe workplace and training employees on safety procedures. But accidents happen. A workplace injury or contracted illness could be devastating to both employee and employer. Workers’ compensation was created to navigate these situations. Workers’ compensation covers medical expenses and lost wages for employees when they’re injured on the job. In the United States, each state government regulates its own workers’ compensation system, and is responsible for rules, regulations and enforcement. A worker slips and falls in a retail shop or restaurant. An employee is injured in a car accident running company errands. An office assistant develops carpal tunnel from repetitive office work. A worker contracts an illness from exposure to a chemical or toxin on the jobsite. By law, workers’ compensation would require the employer or insurance company to pay for any medical care the employee needs to treat the injury, and to compensate the employee for a portion of wages they lose, if unable to return to work for a period of time. While not mandated, the employer could also be found liable for other damages in court. The employee would need to show that the employer was negligent and created an unsafe workplace that resulted in injury. This is called Employer’s Liability. Depending on individual state regulations, these costs might be paid out by the employer’s workers’ compensation insurance policy, or out of the employer’s own pocket. If you’re not an employee. Non-employees like vendors, partners or customers might get injured in a workplace, but they can’t file a work comp claim. Other coverage, like general liability insurance, might help compensate the injured person to pay for medical bills or damages. The definition of an employee also determines coverage, and this differs by state. Full-time and part-time employees are generally covered. Family members, independent contractors, partners and other parties may or may not be considered employees. This distinction is decided by the state’s work comp governing body, and in some cases, by the courts. If it’s not on the job. Being at work or on the clock is not necessarily enough for work comp to apply. Situations that can disqualify an employee for coverage include: ignoring clear safety rules, self-inflicted injuries, being under the influence of drugs or alcohol, etc. Again, the work comp system or a court may review and reject a workers’ compensation claim based on these details. A workers’ compensation claim submitted to the state work comp division is similar to an insurance claim. The details of the situation are filed and reviewed. If accepted, the employer is required to pay for certain expenses and/or lost wages based on set rates. If the employer’s work comp policy applies, the insurance carrier would handle the claim and payment to the injured worker. Where small business owners can shop for workers’ compensation insurance. Which industries and businesses must carry coverage. Who is considered an employee. Regulating body. A state board or division of workers’ compensation, which is responsible for communicating rules and regulations, resolving disputes and managing claims. State fund. Some states have a state fund, or a government-run insurance carrier that offers work comp coverage and competes with the private market. Assigned risk pool. Some states offer an assigned risk pool for higher-risk businesses. Either state-run or managed by a third party, the assigned risk pool places these businesses with a carrier so they can obtain coverage. All branches of the state government also play a role in writing and interpreting the laws that govern the workers’ compensation system. They may also set limits on claims or take other measures to control costs, resolve disputes and determine how medical care is administered. Any employer can be held liable for medical bills or other damages if an employee is injured. In most states employers are legally required to file a workers’ compensation claim within a certain period of time after the worker reports an injury. Most employers are also required by state law to carry a current workers’ compensation policy, which provides coverage to their payroll. If you have employees, state law may require you to carry workers’ compensation insurance. For example, all employees in California must be covered by a policy, while in Florida, employee limits depend on the employer's industry. See your state’s specific requirements and reevaluate your policy annually to reflect your current business operations and payroll. 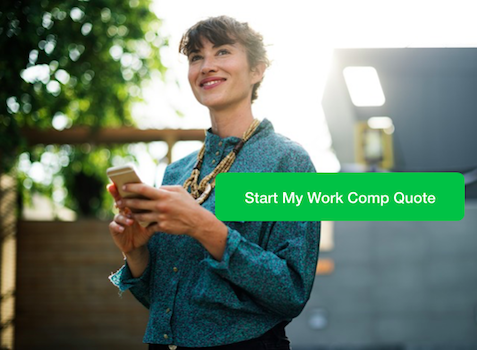 Recommended Read: If you need a workers’ compensation quote, read our step-by-step guide for first-time buyers. 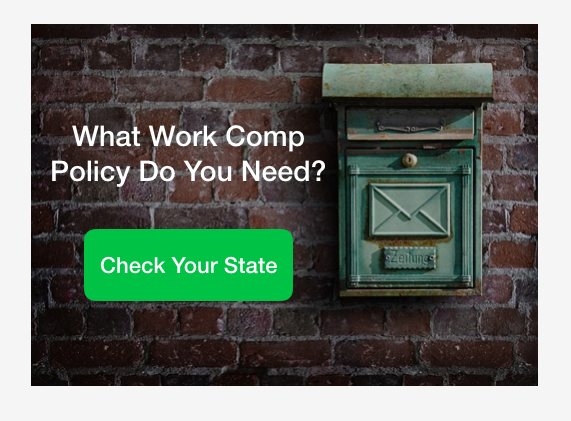 Unlike other small business policies, workers’ compensation is regulated at the state level, so rates and coverage requirements also differ from state to state. A small business workers’ compensation policy varies in cost based on business size, location, industry and claims history. Learn more about how much workers’ compensation costs. Part A covers medical costs, rehabilitation expenses and lost income for injured employees, or death benefits to the employee’s dependents. Part B covers employer liability. It provides coverage if the employee sues for additional damages. Workers’ compensation protects employees by compensating them for workplace injuries, and incentivizing employers to provide safe working conditions. If you have been injured on the job, please notify your employer immediately and seek medical attention. Medical care: Payment of medical bills to treat the injury or illness. Vocational rehabilitation: Rehab to return worker to health and transition back to the workforce. Disability: If the worker is unable to return to work after the injury, the worker may receive disability benefits. Death benefits: In the event of an employee fatality, the policy pays out death benefits to the surviving family. Income replacement: Wage replacement will differ depending on whether the disability is total or partial, temporary or permanent. The amount paid is often a percentage of the worker’s wages, and is determined by the state. If you are injured on the job, seek medical attention immediately and notify your employer, so they can submit a workers’ compensation claim. Return-to-work programs are important for both employer and employee. Constant communication and transitional responsibilities can gradually reintegrate the worker while healing. Your insurance carrier, state work comp authority and other organizations offer resources on return-to-work programs.